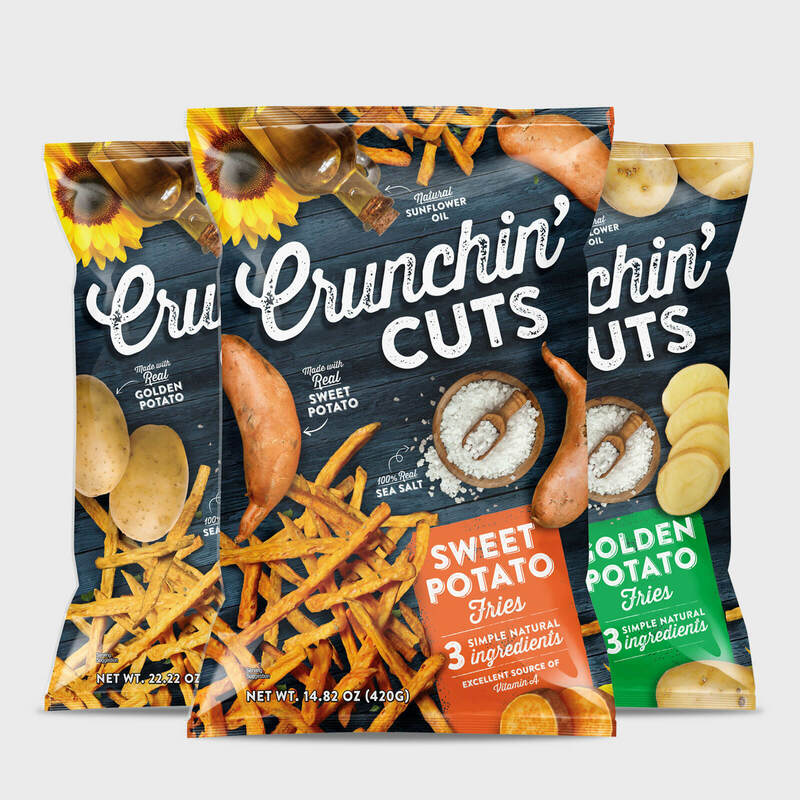 Crunchin’ Cuts - Pivot Marketing Inc.
Crunchin Cuts - a new natural snack food - was designed to emphasize the 3 mindful ingredients and it's clean label by bringing the real ingredients that go into this tasty snack to the forefront of the brand design and packaging. 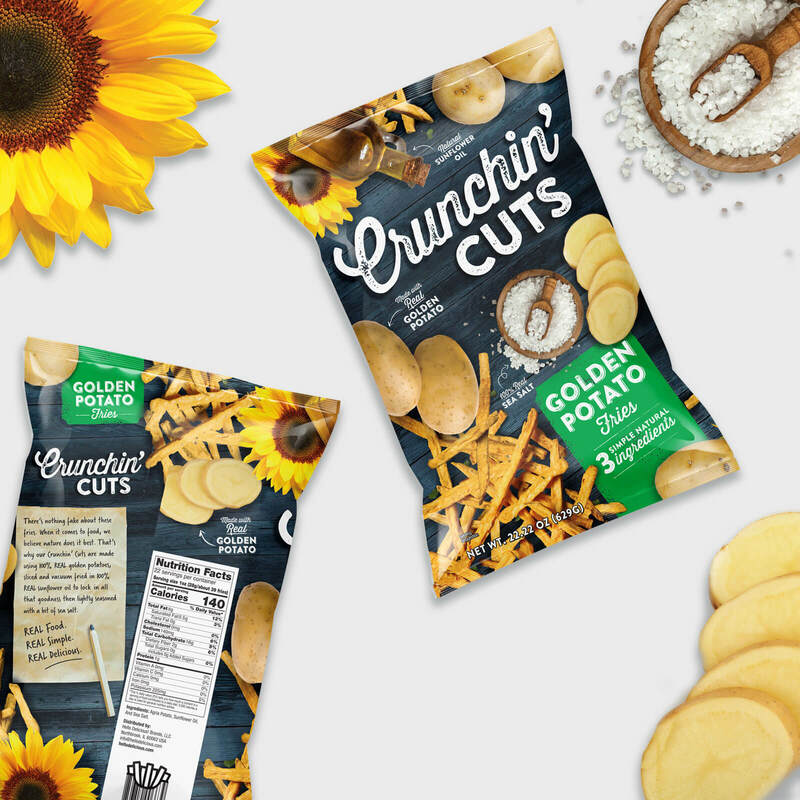 Big Potato Chip generates an average $26 Billion dollars in annual sales per year. 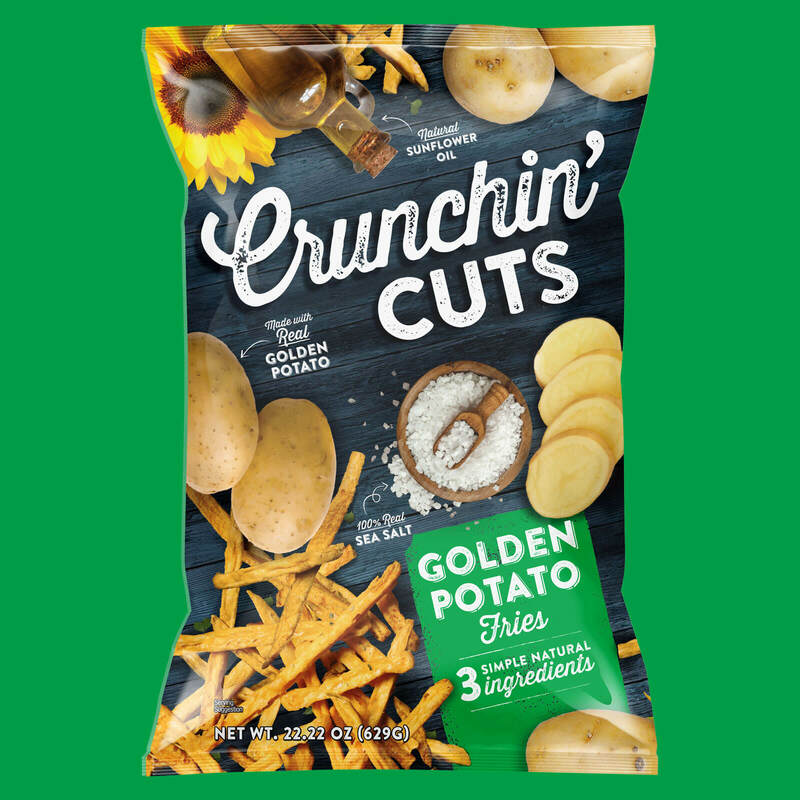 And yet consumers keep searching out new and healthier ways to get their salty snack fix because the plain old potato chip, doesn’t always cut it. 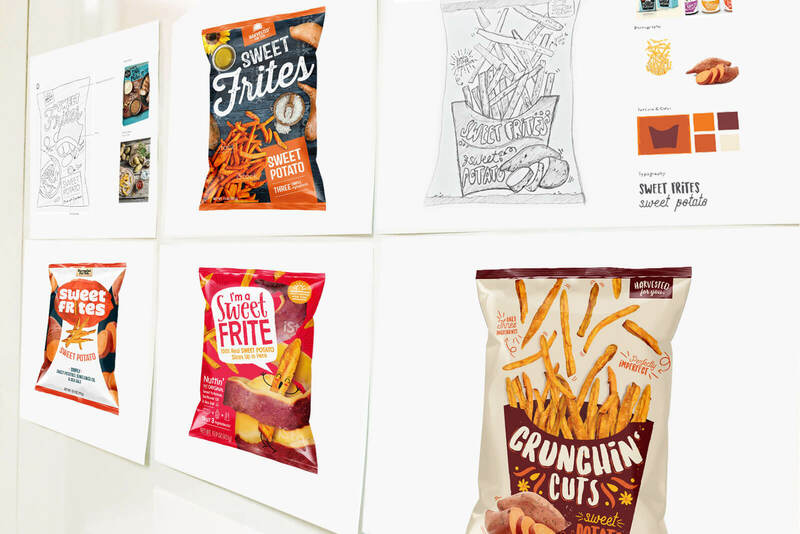 So how do you reimagine the flavor consumers love to win the snack wars? 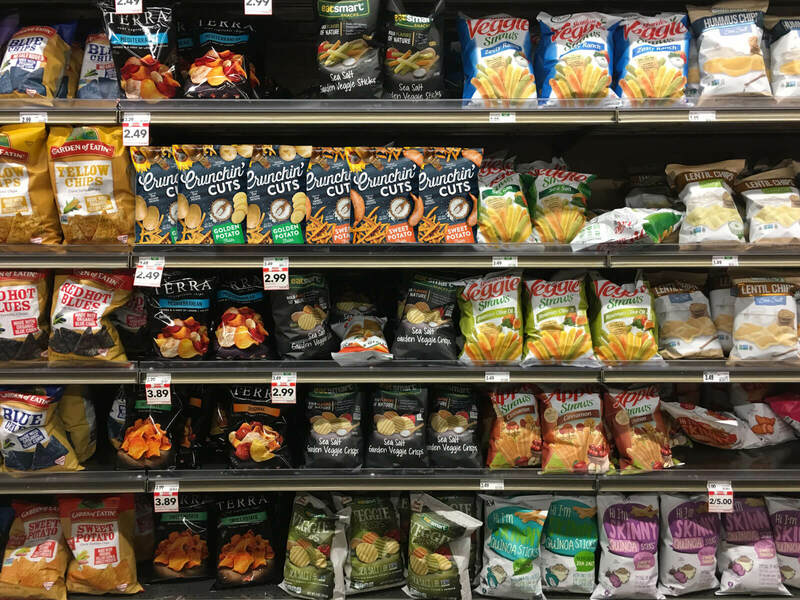 You create a real veggie snack without scary words like “extruded” or ingredients like “corn starch” or “Potassium Chloride”. 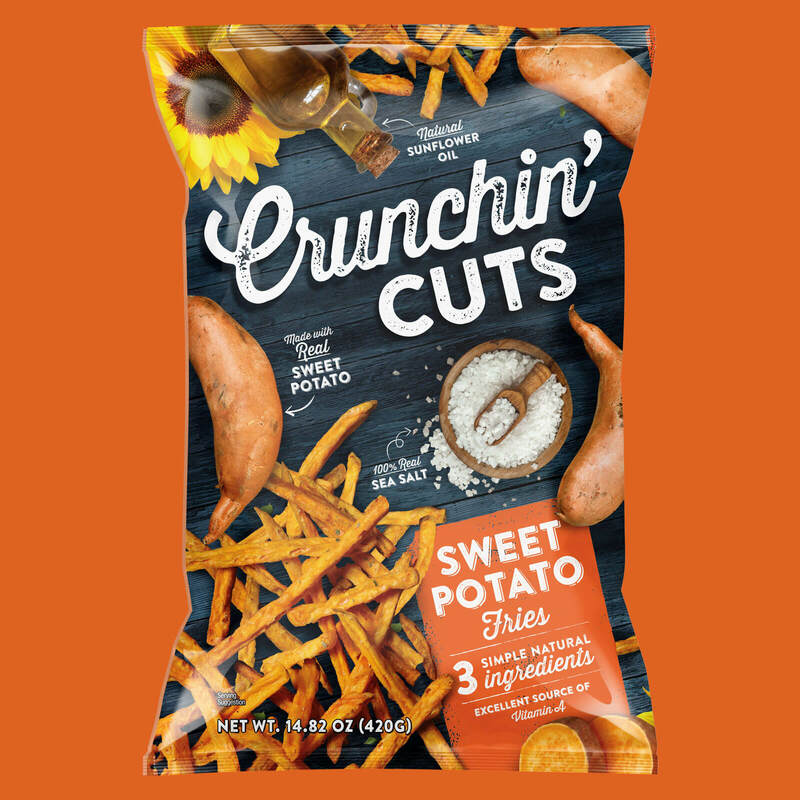 You make that snack from three simple ingredients like real cuts of Sweet Potato, pure Sunflower Oil and natural Sea Salt. 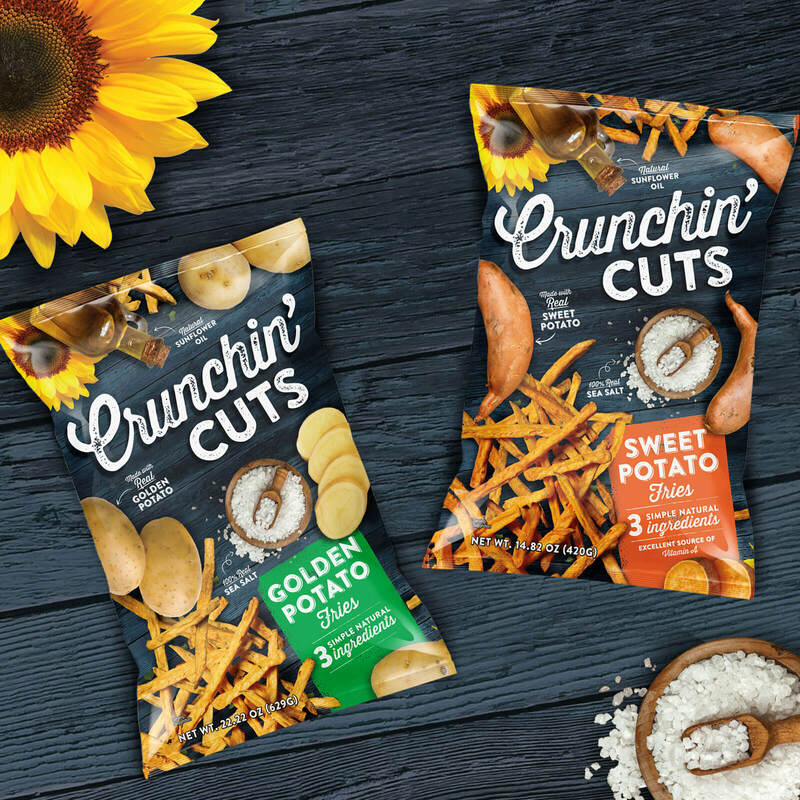 You create…CRUNCHIN’ CUTS. 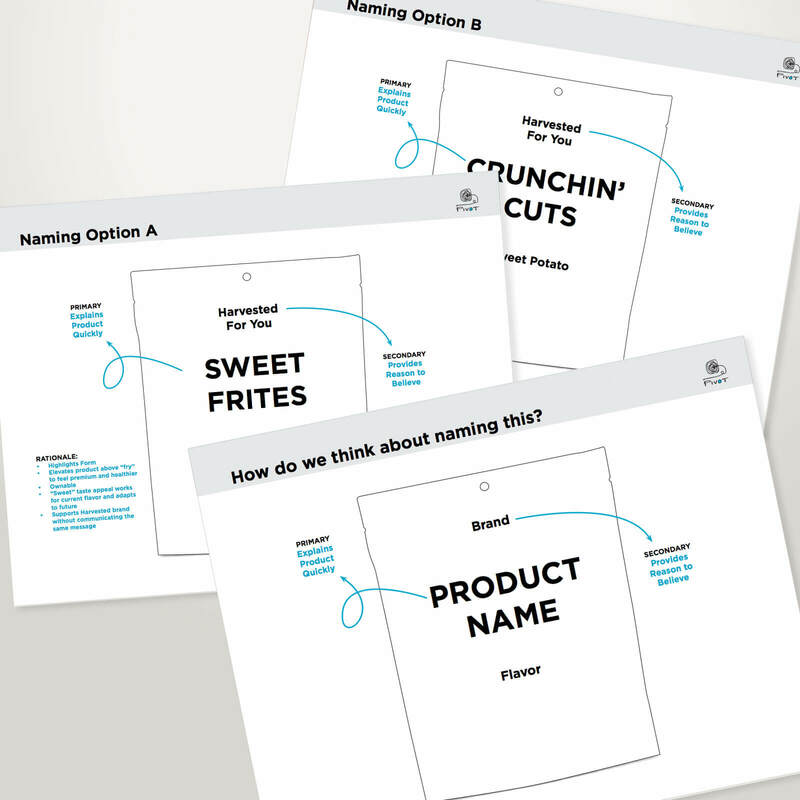 We worked with Hello Delicious! 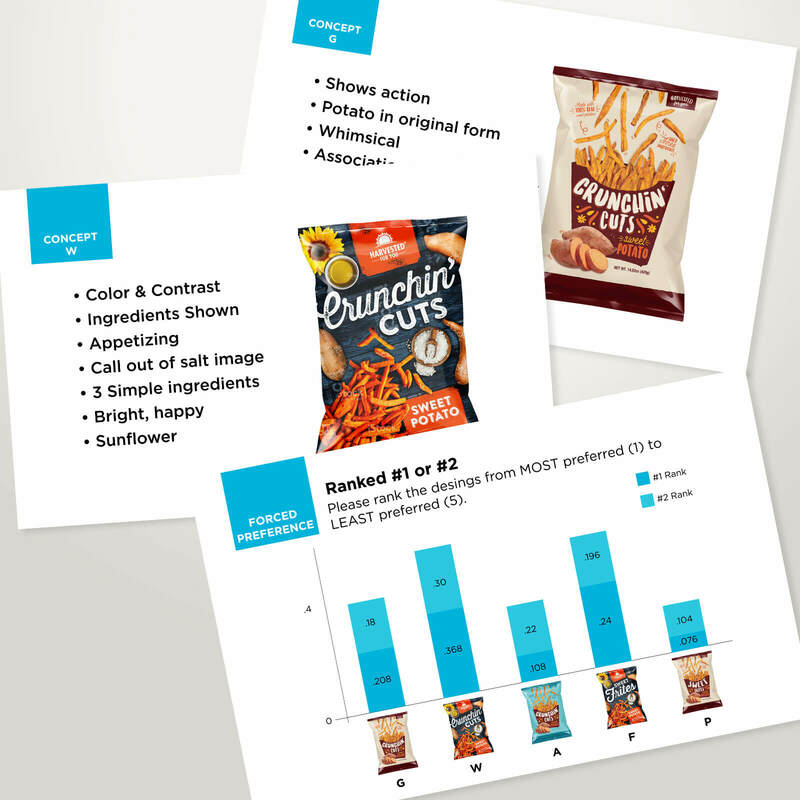 Brands to name, design and package a new brand of “chips” focused on these three simple ingredients to maximize taste without the health tradeoffs. 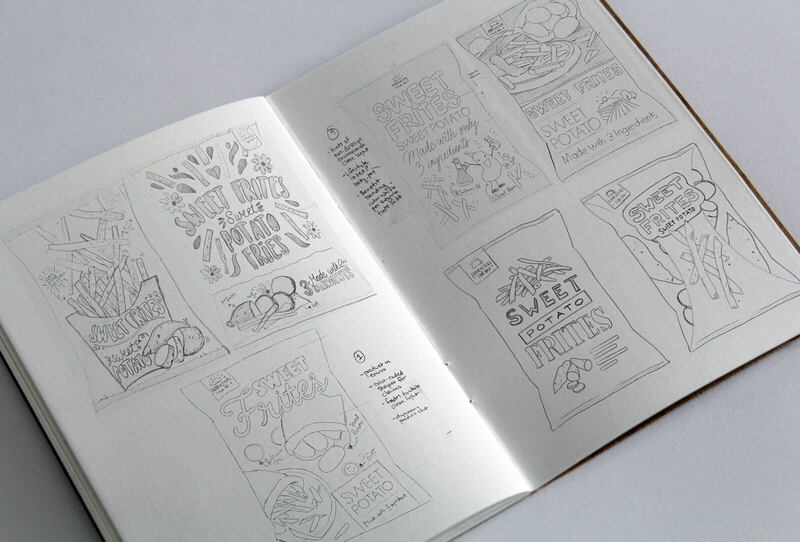 We developed imagery and typography to reinforce the natural goodness of the product. 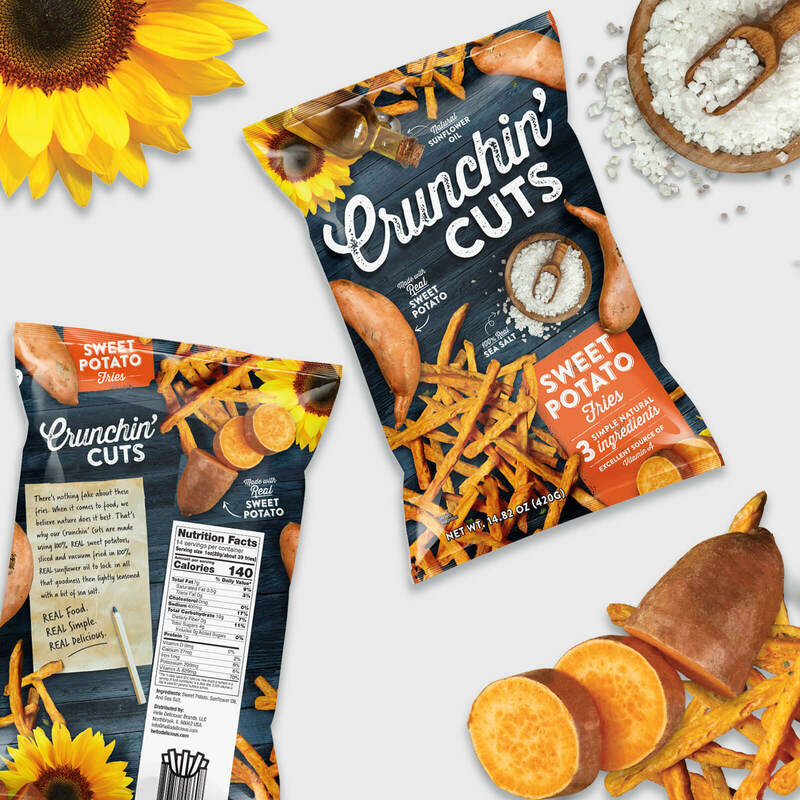 We designed the packaging to amp up the appetizing appeal of the product’s superior ingredients. 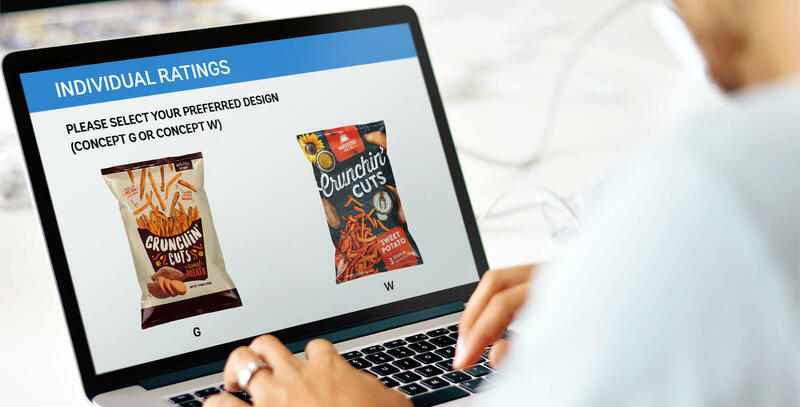 Through online consumer research, we validated that Crunchin’ Cuts can punch above it’s class and truly take on the Big Chip. 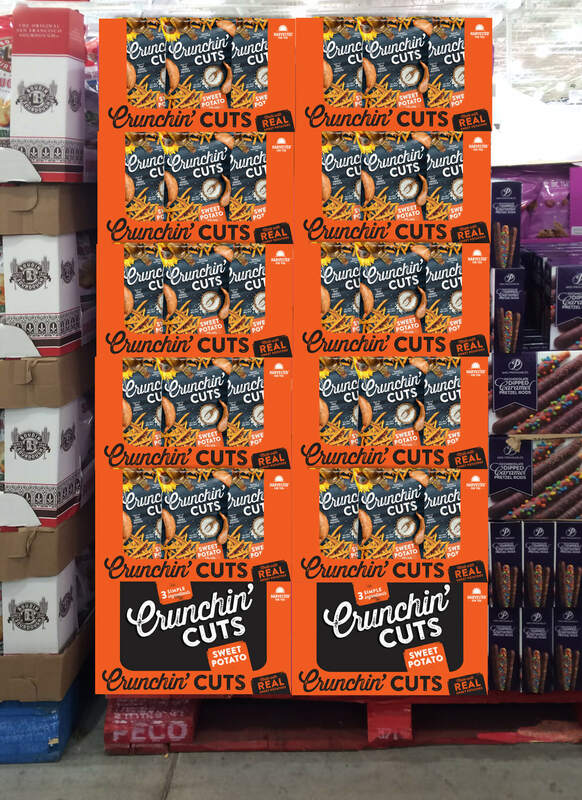 Keep an eye out for this challenger coming soon to a retailer near you.